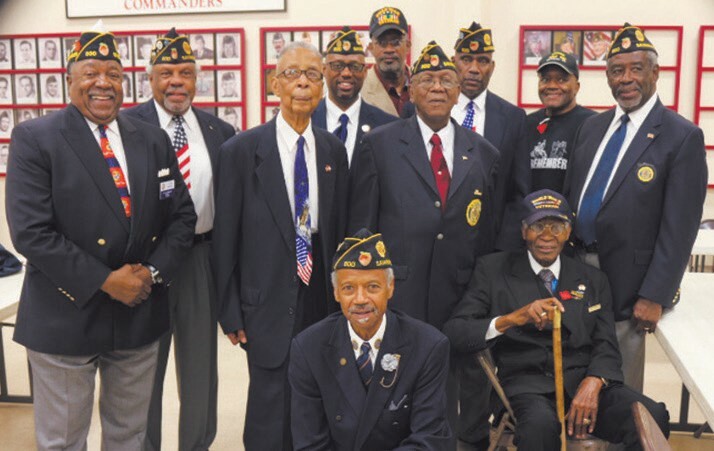 American Legion Post 500, in conjunction with Posts 154 and 184, commemorated the men and women of the military who served and sacrificed their lives so that the American people might remain free. Post 500 presented their guest speaker, Reverend Matthew Southall Brown, Sr, who kept the audience enthralled as he spoke of his experiences in World War II as a member of Company E, 60th Regiment, 9th Division. At that time, he participated in the Battle Of The Bulge. The Memorial Day event was held at George K. Gannan, American Legion, Post 184. Approximately 250 people were in attendance. The event, normally held annually at South Laurel Grove Cemetery, was changed to American Legion Post 184 due to inclement weather.